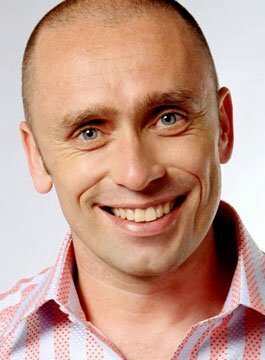 Marc Woods is a former Paralympic World Champion and Motivational Speaker. As a consequence of having cancer as a teenager he had his leg amputated, Marc Woods went on to compete in European, World and Paralympic Championships. As a world champion athlete Marc won 12 Paralympic medals from 5 Games, 4 of those medals Gold. Marc Woods is the holder of an Honorary Doctorate from Middlesex University, A Freeman of the City of London and an advocate for Teenage Cancer Trust devoting his time to teenage cancer patients. Using BBC archive footage from Atlanta 1996 and Sydney 2000 Marc details his experiences and the lessons he learnt on the way to winning a Gold medal in Sydney and Athens. Marc’s presentation follows him on his journey from ‘taking personal responsibility’ to ‘working within a small team’ through to ‘enthusing the broader support team’. My special thanks to you is for sharing a part of your life straight from the heart - it was inspirational. I was also really pleased that you chose to stay with us on Tuesday evening and Wednesday morning as it demonstrated your commitment to, and interest in, us. I want to thank you so very much for coming along to speak us. All that were there hung on every word, cheered you down the straight and were with you on the Path to Gold. His talk was enlightening but also entertaining and he certainly kept the audience sitting on the edge of their seats! His messages about teamwork, communication and being supportive were aptly illustrated and the importance of dedication and hard work were obvious by his own achievements.